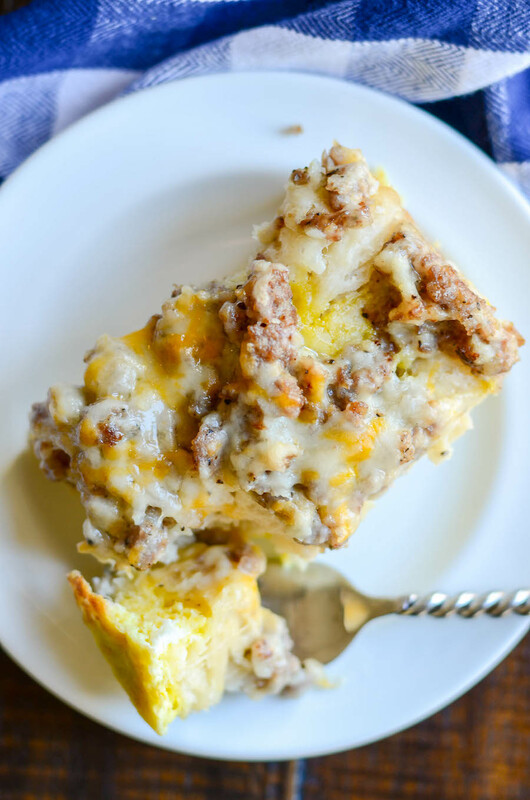 This Biscuits & Gravy Bubble Bake is a super easy weekend breakfast or weeknight dinner. My daughter asks for this every day! If you are looking for a winner recipe, here it is my friends! 🍳 cheese, cheese, lots of cheese! Can you think of a more glorious combination?! All mixed up together in one masterful casserole. This has quickly become my picky daughter's most favorite dinner. We do breakfast for dinner every Tuesday night, and every Tuesday night she begs me for this. Comfort food at it's finest. Enjoy! Preheat the oven to 350ºF. Cut up the biscuits into bite-sized pieces (I quarter the large biscuits or halve the small biscuits) and layer them in a greased 9x13 baking dish. Whisk the eggs and pour them over the biscuits. Brown the sausage and drain the fat. Return to the burner and reduce heat to medium. Whisk together the gravy mix and water (according to instructions on package) and pour into the pan with the gravy. Stir until thickened. Pour the gravy mixture over the biscuits as well. Cover in foil and bake for 20 minutes. Remove foil and sprinkle cheese on top. Return to the oven for 10 more minutes. This is sure different than any breakfast casserole I have read about. My husband loves all those foods. I have made variations of this for years. 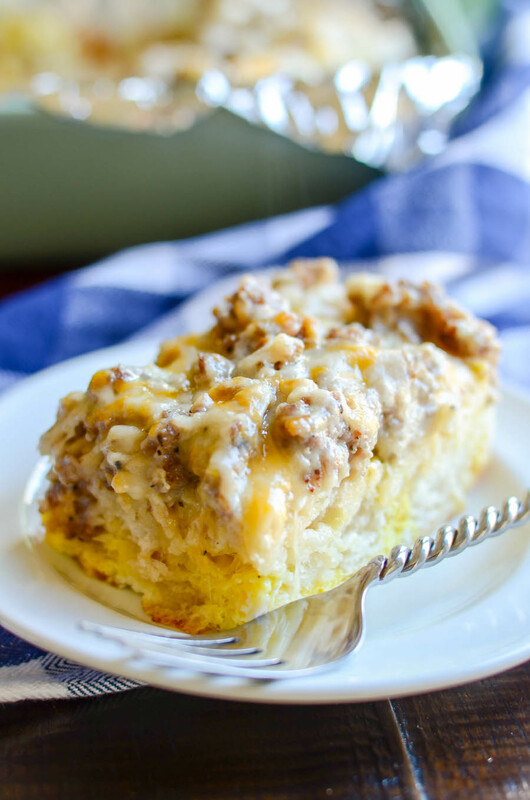 It is so different from most breakfast casseroles and always a big hit. It is so simple and loved by all. I really liked the amounts on this one when I made it. We are major gravy lovers so we do add almost double the gravy.